Not one, but three team building experiences for the same group and weekend? No problem! Big challenges need big solutions! And this thrilling weekend began for our participants with one of our most culinary experiences: our Tapas Tour experience in the heart of Barcelona. 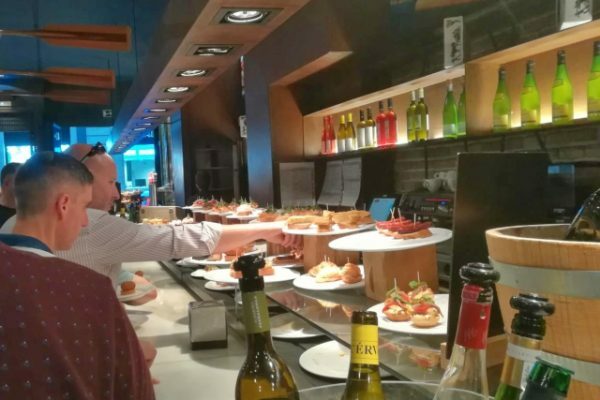 This tour enable participants to discover the city and hear interesting anecdotes about it, as well as, of course, to taste our most famous treat: the tapas! This whole fun was only the beginning. 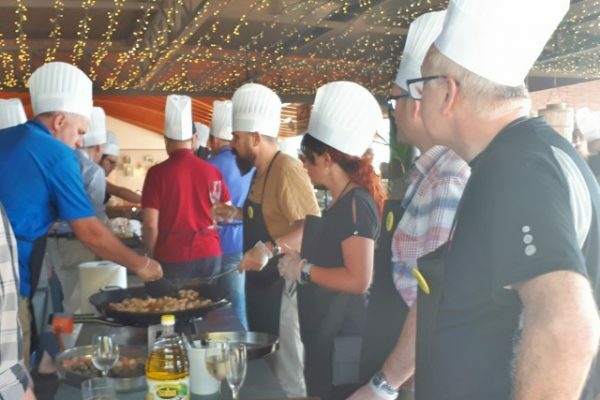 On the second day, June 26th, we Amfivia decided to keep on spoiling the palate of our dear 58 participants with our delicious Paella Cooking Competition! Participants were this time divided into different groups, and spent the morning giving their best culinary skills to cook the most delicious paella! At the end of the activity, teams had the tough decision of choosing which paella tasted better. Not an esay job! This cooking experience helped participants to get to know their colleagues in a personal level and completely new environment. On the last day, June 27th, something more artistic was on the agenda: Gaudi’s Trencadis! No better way to leave Barcelona than by learning it most characteristic artistic style. 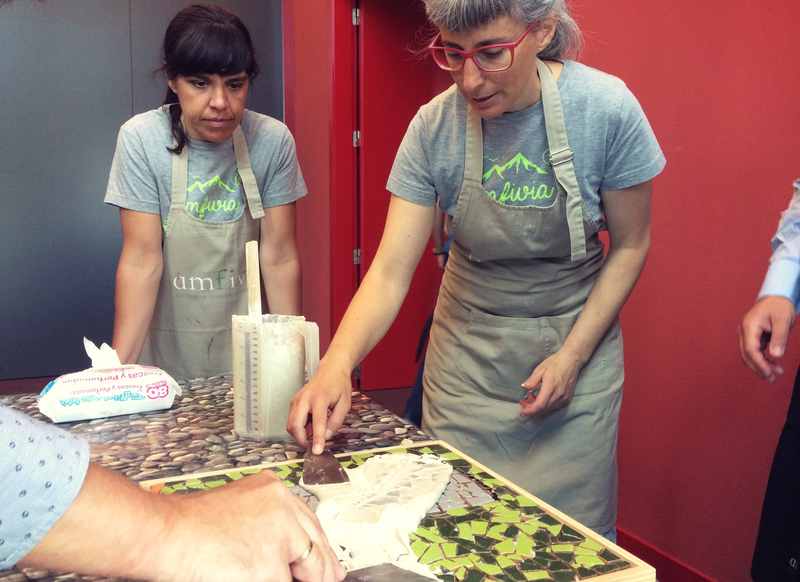 In this workshop, participants were challenged to design and produce a colourful mosaic following Gaudí’s technique of Trencadís. Key to success was also here teamwork and communication skills. Three days to get an inspirational insight of the tasty and artistic side of Barcelona and, by this, strengthen their relationship and team cohesion. Well done everyone and see you soon! 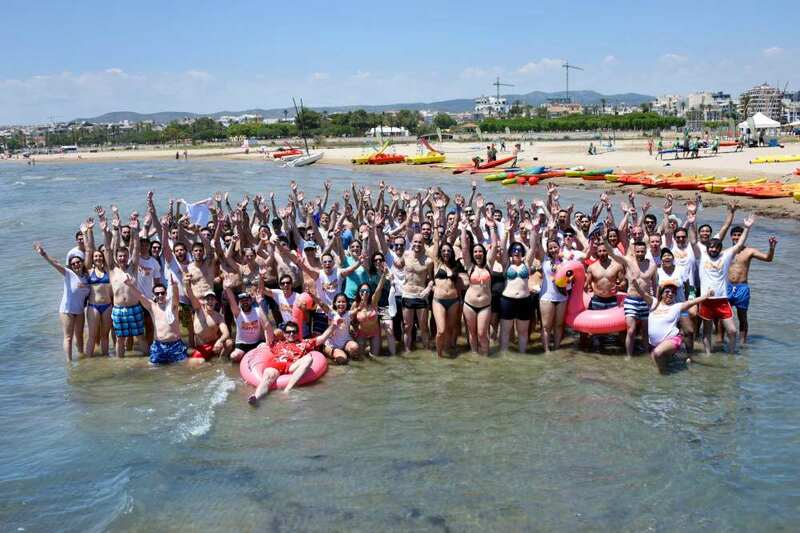 A Day on the Beach: the sunniest team building experience!